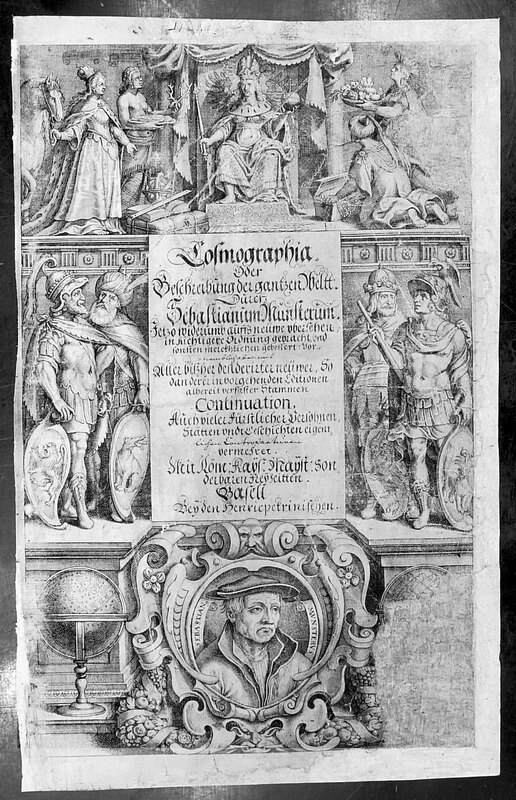 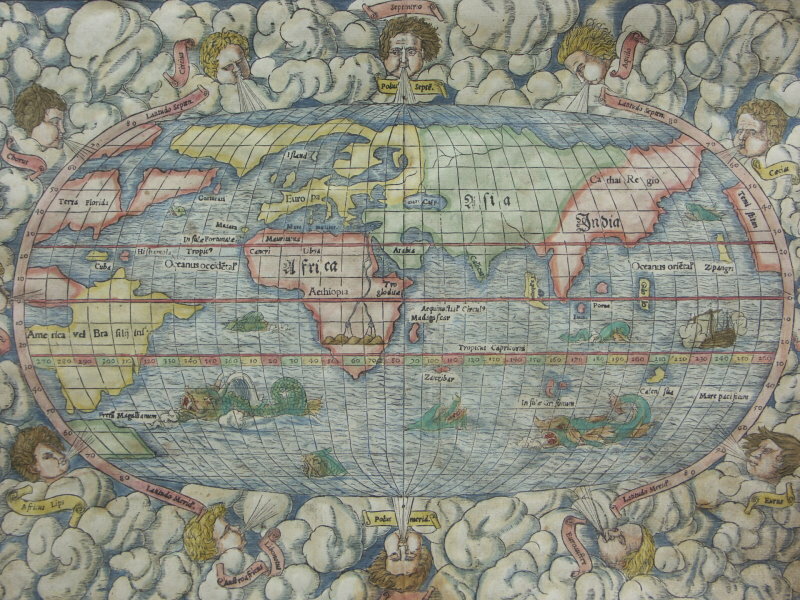 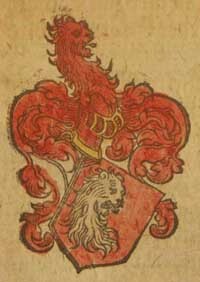 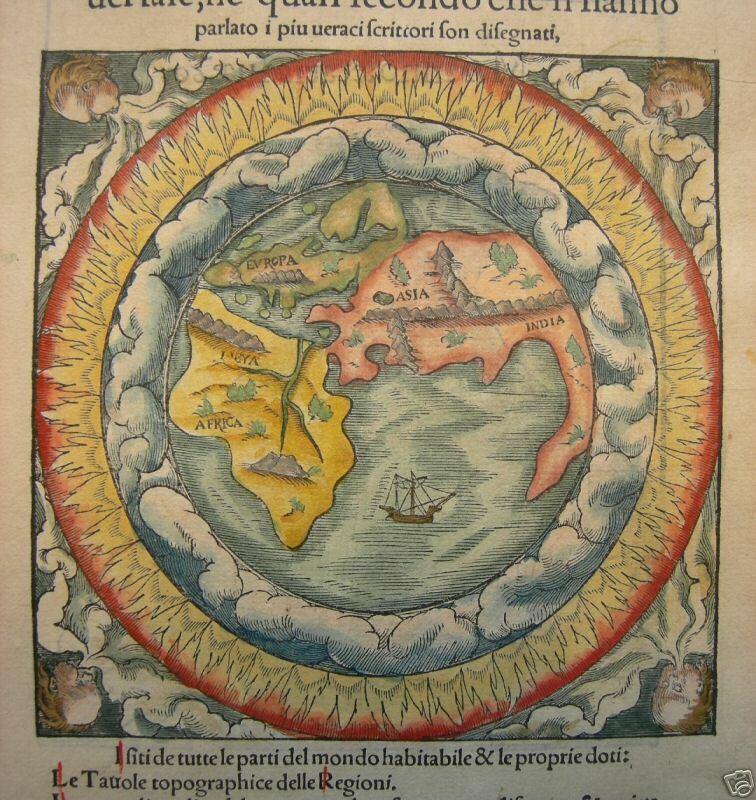 ~~~~~~~~~~~ Sebastian Münster (1488-1552) was a German cartographer, cosmographer, and Hebrew scholar whose Cosmographia (1544; "Cosmography") was the earliest German description of the world and a major work in the revival of geographic thought in 16th-century Europe. 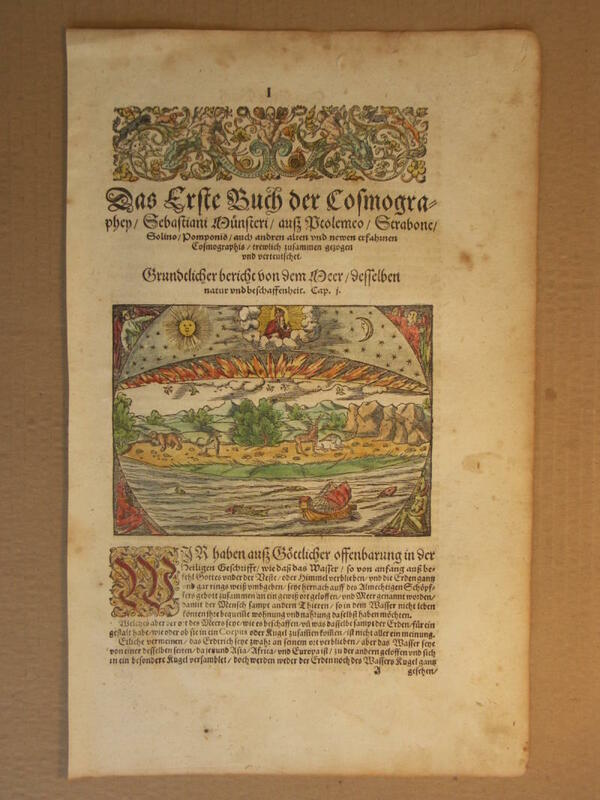 Altogether, about 40 editions of the Cosmographia appeared between 1544 and 1628; Münster was a major influence on his subject for over 200 years. 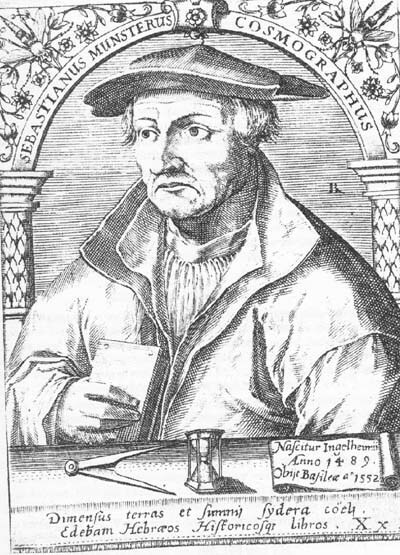 Münster acquired the material for his book in three ways. 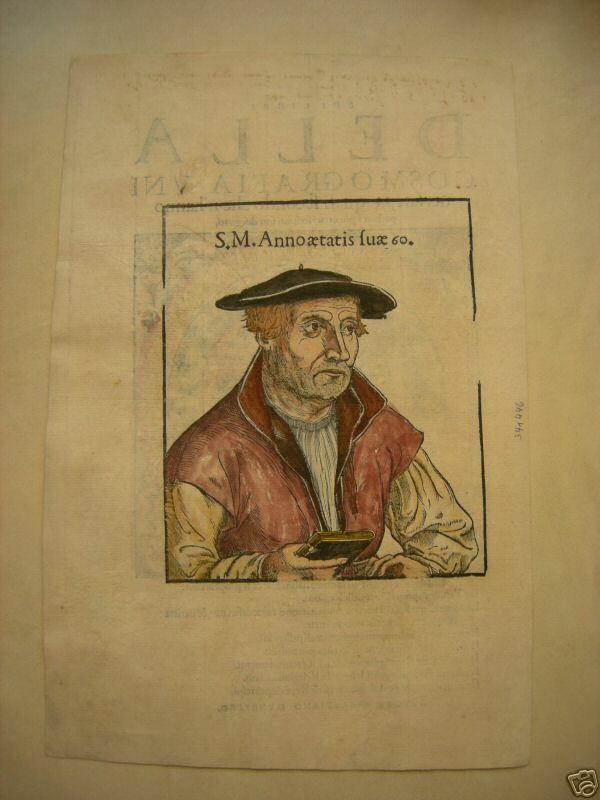 He used all available literary sources. 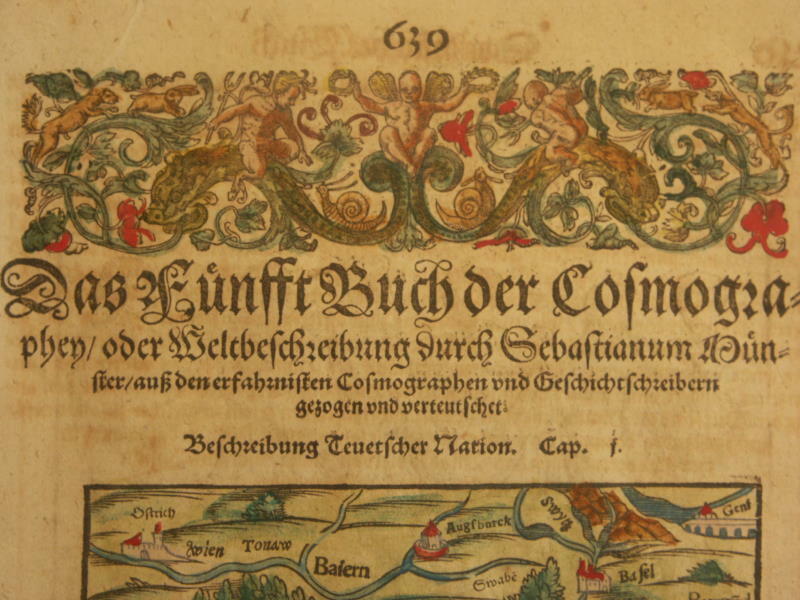 He tried to obtain original manuscript material for description of the countryside and of villages and towns. 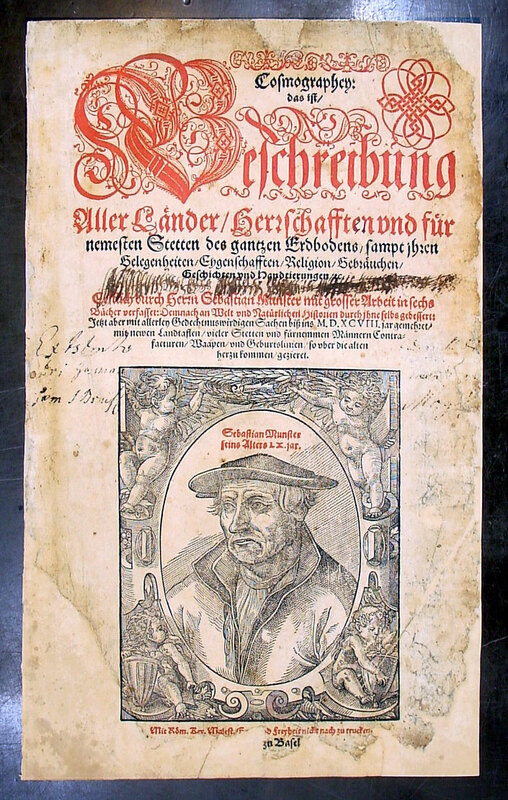 Finally, he obtained further material on his travels (primarily in south-west Germany, Switzerland, and Alsace). 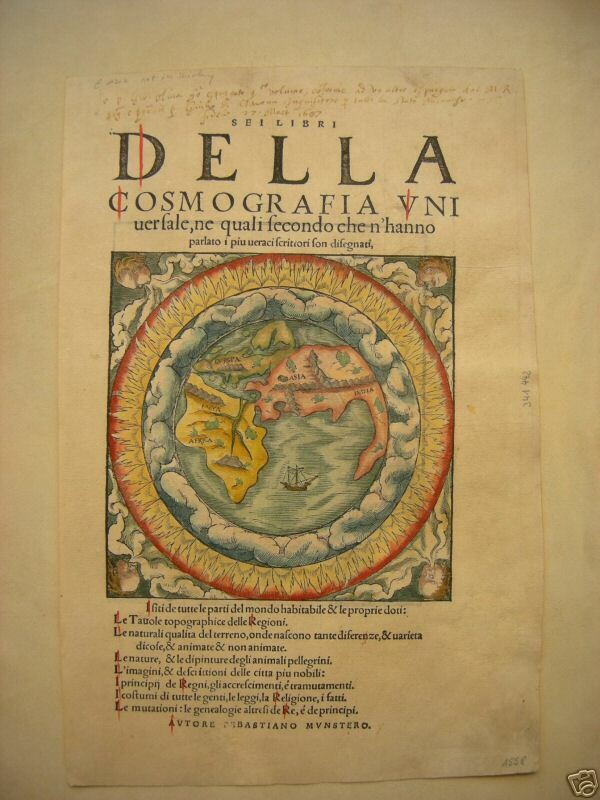 Cosmographia not only contained the latest maps and views of many well-known cities, but also included an encyclopaedic amount of detail about the known -- and unknown -- world, and was undoubtedly one of the most widely read books of its time. 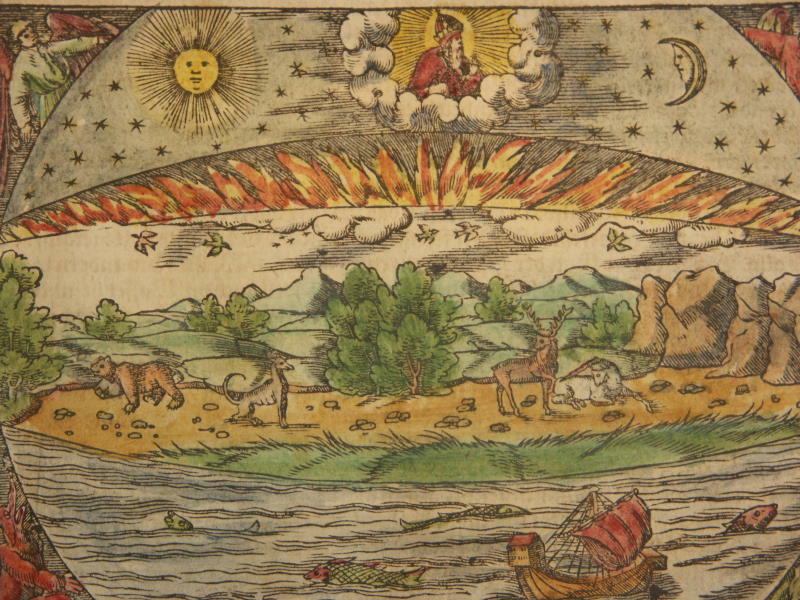 Aside from the well-known maps present in the Cosmographia, the text is thickly sprinkled with vigorous views: portraits of kings and princes, costumes and occupations, habits and customs, flora and fauna, monsters, wonders, and horrors.